Extra funding for the gardaí over the next year will help the campaign to counter the groups, the Minister said. She made the comments in an answer to a parliamentary question tabled this week. 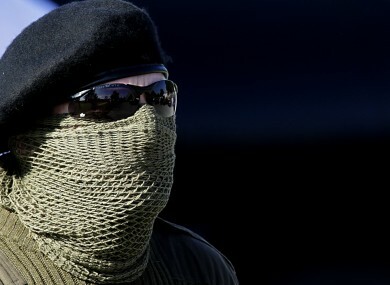 Operational security co-operation is the key to putting these groups out of business and the Garda authorities work very closely and successfully with their counterparts in Northern Ireland in actively bearing down on these groups and on the organised criminal gangs with which the paramilitaries are inextricably linked. “They are deeply involved in serious crime in order to fund their activities and their lifestyles,” Fitzgerald said. The Department of Justice was granted an extra €141 million in expenditure in this month’s Budget, which Fitzgerald hailed at the time as a “breakthrough”. An additional 200 gardaí will be recruited, with the first intake happening before the end of the year. Another 100 will enter Templemore in January. “I am strongly committed to ensuring that the Gardaí have the necessary resources they need to bear down on these groups not just in terms of personnel and equipment but also in terms of the legislative provisions available,” the Minister said. In terms of additional legislative powers, Fitzgerald referred to the recently published Criminal Justice (Terrorist Offences) (Amendment) Bill 2014 which creates three further offences of ‘Public Provocation to commit a Terrorist Offence’,'Recruitment for Terrorism’ and ‘Training for Terrorism’. Email “Extra gardaí will help in fight against "real and persistent" dissident threat ”. Feedback on “Extra gardaí will help in fight against "real and persistent" dissident threat ”.